Well, that’s in case you were wondering how on earth you should pronounce it. Ram-bu-tan. Never heard of it, never seen it, and this thing appears like right out of Spielberg’s War of The Worlds. Or maybe Cowboys and Aliens. Anyway, it tastes good. Does great for your body. So let’s chuck the trivialities and head straight to the point – rambutan is gonna be amazing for you. Go ahead and read (and eat it). What Is The History Of Rambutan? What Is The Nutritional Profile Of Rambutan? What Are The Benefits Of Eating Rambutan? 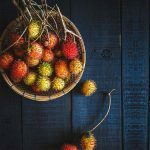 Rambutan Vs. Lychee – What’s The Difference? How Else Can You Use Rambutan? Any Fast Facts On Rambutan? What About The Selection And Storage? How To Eat Rambutan Properly? Does Rambutan Have Any Side Effects? It is a medium-sized tropical tree and belongs to the family Sapindaceae. Scientifically called Nephelium lappaceum, the name rambutan also refers to the delicious fruit (which we are going to talk about) this tree produces. It is native to the Malay-Indonesian region and certain other regions of Southeast Asia. Also spelled rambotan, ramboutan, rambustan, and ramboetan, the fruit is closely related to other tropical fruits like the lychee, longan, and mamoncillo. In fact, in the native language, rambut means hair. This is with reference to the numerous hairy protrusions of the fruit. In Vietnamese, the fruit is called chom chom (which means messy hair), referring to the spines covering its skin. That’s a little about this seemingly mysterious fruit. But wait, why are we even talking about it? Though the fruit is small, it contains a considerable amount of vitamin C – a nutrient that boosts immunity and flushes toxins out of your body. Rambutan contains copper as well, another mineral that works in tandem with iron to improve the health of your blood vessels and blood cells (as it is also a good source of iron). There are several other benefits, which we have saved for later. But before that, how about taking a peek into the history of rambutan? 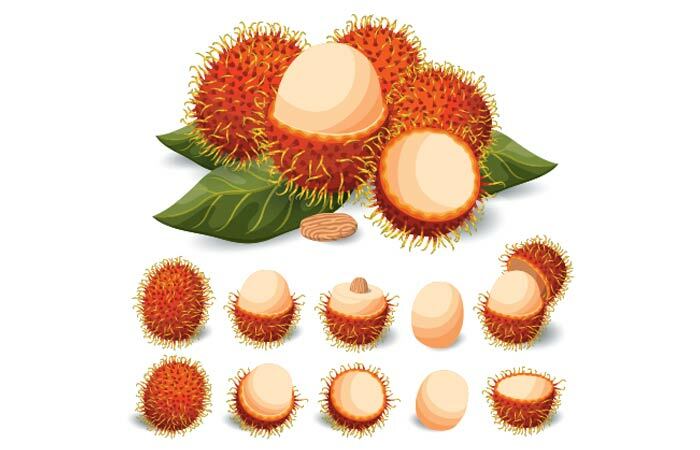 Like we saw, rambutan is native to Malaysia and Indonesia. This is where the widest cultivars of the fruit are found. Around the 14th century, the Arab traders introduced rambutan to East Africa. And in the 19th century, the Dutch introduced this fruit to South America. In 1912, the fruit traveled from Indonesia to the Philippines. We don’t want to delve too deep into the history and keep you waiting. So let’s get to the benefits. But just before that, how about taking a look at the nutrients this wonder fruit contains? A hundred grams of rambutan contain about 84 calories. And a serving of the fruit has just 0.1 gram of fat. It also has 0.9 gram of protein. And 100 grams of this fruit also contain 40 percent of the vitamin C you require daily and about 28 percent of iron. Wondering what this spiky fruit can do for you? Well, read on. Rambutan is rich in antioxidants that fight the free radicals and prevent any ailment that they might cause. These include cancer, inflammation, and even heart disease. The abundance of certain vitamins and the delectable taste make this fruit a must-have on one’s plate. A Chinese study talks about how rambutan peels possess anti-diabetic properties. Diabetic mice induced with the phenolic extracts of rambutan peels had shown a reduction in fasting blood glucose levels (1). There is no specific research that suggests how rambutan, by itself, can prevent weight gain. However, fruits, in general, as per studies, can prevent weight gain as they have low energy density (2). Fruits also contain some amount of fiber that can, aid weight loss by helping you stay full for longer. The high fiber content in rambutan can potentially reduce the risk of coronary heart disease (3). It also helps alleviate hypertension and might lower cholesterol levels – both of which can otherwise damage the heart. The phosphorus in rambutan has a role to play here. The fruit contains good amounts of phosphorus, which aids in the formation of bones and their maintenance. The vitamin C in rambutan also contributes to bone health. Rambutan is one of those fruits with a high antioxidant content, which is reason enough to say that it can prevent cancer. These antioxidants can fight inflammation and protect the cells in the body from getting affected. The vitamin C in the fruit also aids in this regard. It neutralizes the harmful free radicals and offers protection against different forms of cancer. 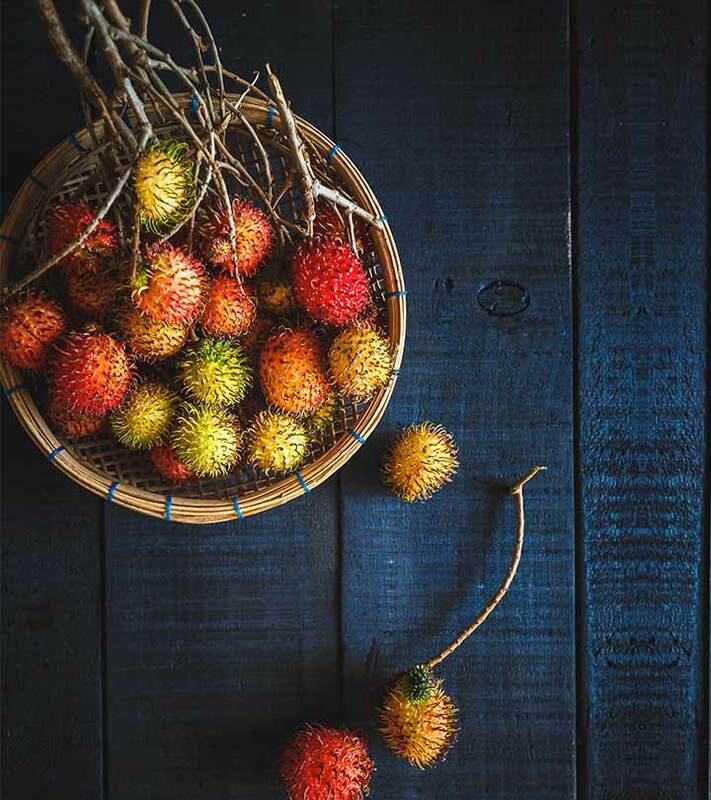 According to one study, rambutan peels can alter and disturb the growth of cancer cells and can even be used for the treatment of liver cancer (4). And as per another report, eating five rambutans every day can drastically cut the risk of cancer (5). Studies suggest that rambutan has been used since the ancient times for its antibacterial properties (6). Certain studies also speak of the antiseptic properties of the fruit, which protect the body against numerous infections. The fruit accelerates wound healing and also prevents pus formation. Rambutan contains both carbohydrates and protein, both of which can offer an energy boost when required. The natural sugars in the fruit also aid in this aspect. The fiber in rambutan might help improve digestive health. It can aid digestion and also help prevent digestive issues like constipation. And the antibacterial properties might help kill intestinal parasites. Thus treating diarrhea as well. However, we have less research in this regard. Please consult your doctor. Certain sources say that the leaves of rambutan work as an aphrodisiac. Simmering the leaves in water and then consuming them is said to activate the hormones that boost libido. Rambutan is also believed to enhance fertility, though there is no research to back this up. Check with your doctor before using it for this purpose. The antibacterial properties of rambutan might treat dandruff and other scalp issues like itching. And the vitamin C in the fruit can nourish the hair and scalp. The copper in rambutan treats hair loss. It also intensifies hair color and prevents premature graying. Rambutan also contains protein, which can strengthen the hair roots. Vitamin C can also give your hair that added shine. You can simply apply rambutan juice to your hair and let it sit for about 15 minutes before shampooing as usual. As there is little research in this aspect, we recommend you consult your doctor before you use rambutan for your scalp/hair health. The seeds of the rambutan fruit are known to enhance your skin’s health and appearance. Mash the seeds into a paste and apply it to your skin for a clearer and even complexion. Using the seed paste regularly can soften and smoothen your skin and improve its texture. Rambutan also hydrates your skin. The manganese in the fruit, along with the vitamin C, aids collagen production and also acts as an antioxidant that damages the free radicals. All of this keeps your skin healthy and young for a long time. That’s pretty much the list of benefits. But there is a big question running around. Did you ever wonder if rambutan is the same as lychee? Let’s find out. Firstly, the two are different. Let’s accept that. The rambutan is about the size of a golf ball. It has a red outer skin and yellowish green spikes all over. The flesh of this fruit is white and has a big seed at its center. It has a sweet, creamy, rich taste. The skin is really thick and hard to peel. The lychee is a little smaller than rambutan. It also has a red outer skin but minus the spikes. And the skin is rough. The flesh looks similar to that of the rambutan, but it tastes different. It is not as rich and creamy. It is crisper. And yes, this one also has a seed at the center. The skin is not as thick, and you can peel it as you do with a hard boiled egg. So, is that all? Is that all there is to rambutan? Well, no. There’s a host of other things you can do with the plant. We already saw how to use the fruit and its benefits. But that’s not it. There are other parts of the plant that are quite useful as well. These include the leaves, seeds, peel, and the bark. And here, we look at each of them. The leaves of the fruit contain healing juices. 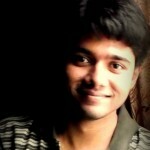 They possess analgesic properties, which basically means they act as an effective painkiller. It is said that drinking the juice works on your nerve centers and heals pain. The juice from the leaves also offers great scalp health. You can also get rid of frizzy hair – just squeeze the juice from the leaves and apply to your scalp and hair. Rinse after an hour. Repeat 3 times in a week. The seeds also have numerous beneficial properties, but we suggest never to eat them raw. They contain saponins, compounds that can be extremely poisonous. The seeds are full of proteins and carbs. Adding them to your snack can be a good idea. They also have oxidative properties, which can help remove blemishes from your skin. You just have to crush the seeds to make a fine paste and apply to your skin. The peel contains flavonoids and gallic acid – these contain anti-cancer and anti-inflammatory properties. You can simply wash the peels and eat them raw. And don’t worry about the spines – they are just soft and tender. The peel can also cure dysentery and fever. Just boil the peel and strain the liquid. Drink this twice or thrice a day. The bark of the rambutan plant has astringent properties and can treat canker sores. See? We told you. Not just the fruit, even the plant and its parts have some use. Now that’s cool, isn’t it? What’s even better are the facts about the fruit. The rambutan plant can reach as much as 66 feet in height. Rambutan produces fruit twice a year. And each plant/tree can produce as many as 6,000 fruits per season. The oil extracted from the seeds of rambutan can be used for cooking. There are over 200 varieties of rambutan today. Rambutan is usually harvested with more fruit left on the branches. This allows the fruit to stay fresh for longer and also makes it less prone to damage. Rambutans might be those fruits you rarely come across. So if you want one, where can you get it? Good question. You can find rambutans in select stores, some of which include Kroger, Wegmans, Independent Asian Supermarkets, Walmart, Whole Foods Market, and 99 Ranch Market. Or you can also get the fruit online. With rambutan, it’s a different story. Because this is a fruit that only ripens on the tree. One can’t prematurely harvest it. In the USA, the season is late June to August and again from December through January. The US crop primarily comes from Hawaii. And in case you are heading to the market to buy your rambutans, there is a way to select the fruit. And then there is a way to store it. While buying rambutans, look for the fresh ones that are bright red or yellow. The spines should be firm. Never choose a rambutan with bruises as it may be a sign of a damaged or overripe fruit. It can be stored at room temperature for a couple of days. Refrigerating the fruits gives them a lifespan of a week or so, but they might lose their aroma. They should be ideally wrapped in a paper towel or a perforated plastic bag. There are a few tips on how to cook this fruit. Basic guidelines, we can say. Before you even use rambutan for cooking, make a cut through the skin all the way round. Post which you can peel off the skin and use it. In case you are serving the fruit to your guests, you can retain half of the skin on the platter. This enhances the look of the fruit. Your guests can then peel the fruit and eat. Make sure you don’t cut the fruit half right through its seed. And now for the million dollar question. We know it’s a tricky task, but we have you covered. The first step is to choose a ripe rambutan. A ripe rambutan is bright red with green spikes. Place the fruit on a cutting board, and using a kitchen knife, just cut through the tough rind. Don’t try to cut the fruit in half because, well, you can’t. There is a large seed at the center. Hold the knife stationary and slowly rotate the fruit. This will ensure some part of the ring is peeled off. Squeeze out one half of the rind with your fingers. You can either squeeze out the other half of the rind, or if you are worried about the loss of juice, just peel the rind. Ensure you dispose the seed before eating the fruit. Okay. So now, you are relishing the fruit. You are happy. But wouldn’t it only get better if you add this fruit to some delicious recipe(s)? Let us tell you that these orbs taste wonderfully great whether raw or in fruit salads, or pureed, or even in jams, jellies, and sorbet. To a saucepan, add the sugar, honey, and the lime rind and juice. Keep stirring over moderate heat until the sugar has dissolved. Add the rambutans and lime syrup to a blender and blend until the mixture is smooth. Pour this mixture into an ice cream maker and process. Ensure you follow the manufacturer’s guidelines. Store in the freezer, and remove it 30 minutes before serving. In a bowl, combine the onion, salt, pepper, garlic, and vinegar. Allow them to stand. Doing so can pickle the onion and stop it from burning. Peel and deseed as many rambutans as you need. Take at least 5 fruits per person. Add the mint leaves, lemon basil, and chili. Then, gently toss all the ingredients together. You can serve cold with leafy greens or meat of your choice. You can also have it with grilled fish. We know the recipes are great. But we also must know the murky side of rambutan. Most of the side effects come from the fact that the fruit is sweet. Yes, we did speak of rambutan for its anti-diabetic properties. But there is another side to it. Rambutan contains fructose, and this can promote insulin resistance, worsening diabetes. It can cause a spike in the blood sugar levels when taken in excess. Note: The fiber in rambutan regulates blood sugar release, making it a great choice (in moderation) for those with blood sugar imbalances. In case you let the fruit ripen too much, the sugar in the fruit can turn into alcohol. And this can pose harm to people with blood pressure problems. This is with the seeds. Eating them can be fatal. Hence, don’t eat them. Peel it. Deseed it. Eat it. That’s all you need to know about rambutan. Tell us how this post has made your life better (because we know it did). Post your comments in the box below. Cheers! Yes. We recommend against eating them raw. Boiling or cooking them might reduce their toxic properties (however, research is lacking in this regard). Which season is a rambutan grown in? The fruit is harvested between July to September and December to January – July to September being the main period. The trees can grow in tropical and sub-tropical environments. Temperatures between 71 to 87o F are a must. Anything below 50 can kill them. Hence, they are best grown in warm regions like California and Florida. The rambutan tree also likes to stay moist. You can plant the seed flat in a pot with drainage holes. It must be filled with organic soil, amended with sand and organic compost. You can place the seed in the dirt and slightly cover with soil. The seed will take anywhere from 10 to 21 days to germinate. “Anti-diabetic effects of phenolic extract from rambutan peels…”. Kunming University of Science and Technology, Kunming, China. “Health in Iowa Annual Report”. Behavioral Risk Factor Surveillance System. “Dietary fiber and natural prebiotics for gut health”. Monash University. “Rambutan peels promoted…”. Anna University College of Engineering, Tamil Nadu, India. “Bioethanol fuel production from rambutan fruit…”. African Journal of Biotechnology.